Finally, A Window Company In Winston-Salem Designed To Make Replacing Your Windows Easy, Pleasant, And Stress-Free. Expertly-Installed, Without The Annoying Sales Process. Warranties You Can Count On. The ‘old guard’ in the window replacement industry doesn’t get it. You’re not going to stand for long in-home presentations and high-pressure sales tactics. And you absolutely hate pricing games, over-hyped discounts, and being told “both the husband and wife have to be present to talk to the salesperson.” What is this, 1950? We only sell top quality windows… but without the extra annoyances, massive overhead costs and inflated claims. Homeowners have heard so many “home improvement horror stories,” some can’t believe just how simple, honest, and efficient we are. At Salem Windows and Doors, we’re passionate about three things: windows, doors, and helping you find the best products for your window or door needs. We’ve displayed this passion through our many years of service in the Winston Salem area and the numerous accolades our products have earned. Wood windows are particularly important to us – after all, that’s what originally set us apart. Today, we’re also known for three broader reasons: our superior service, our leadership in environmental efforts and our dedication to offering high-quality products. Our experts are ready to help you gather all the information you want about our Marvin Windows and Doors products and features. We’re confident our myriad styles will meet your replacement window or door needs. 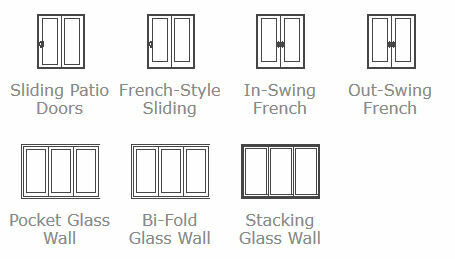 Marvin Windows & Doors and Sierra Pacific offer many innovative glass options in terms of their energy efficiency. So explore our site, call, or stop on by our Showroom.